The Lakes School has a fantastic reputation for organising trips to a wide range of places around the UK and beyond. Many of our trips support the curriculum and you can find out about our range of trips in the Your Year Group section of the website. We organise trips to places of cultural and historical interest along with ski trips and an exchange trip to Deissen, the twin town of Windermere. Our enrichment days also see students travelling all over the country to a number of locations to enhance their learning. You can read more about our enrichment days in the enrichment section of our website. Updates about our trips now appear on our school Facebook page which you can find by following this link or searching for The Lakes School Windermere UK. 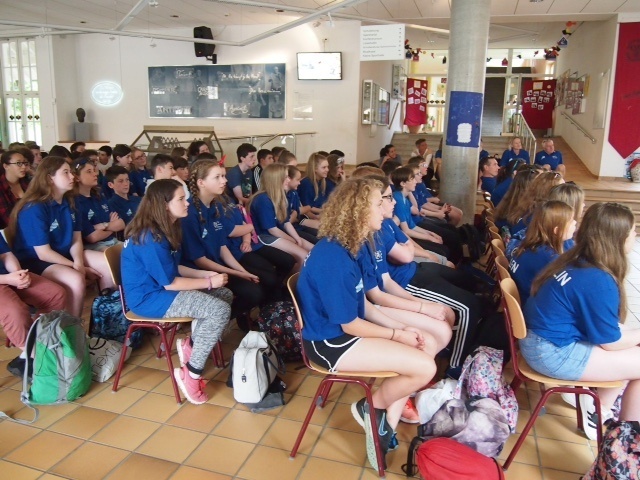 Tuesday 12th July 2016 at 4.20pm: Good day spent at the Carl Orff Schule and the rain didn’t spoil the enjoyment of swimming in Landsberg. Monday 11th July 2016 at 8.45pm: Fabulous tour of Munich today and a great evening with the twinning association who made lovely comments about our students. Sunday 10th July 2016 at 11.00pm: Just heard that the Deissen party have arrived safely. Sunday 10th July 2016 at 1.00pm: Wishing everyone a safe trip as the bus departs en route to Germany. Wednesday 17th at 17:20 – Enjoying some amazing food! Had huge portions of lasagne for a starter yesterday and Gnocchi today followed by chicken, chips and home made cake. Also lovin the hot chocolate with whipped cream in the wooden mountain hut! 🙂 all feeling fat!!! Lots of moguls and jumps today. Tuesday 16th at 12:00 – Libby Turner made massive leap, long poma & long slope without stopping. Nice snowplough turns all the way and she’s smiling 🙂 Fantastic! 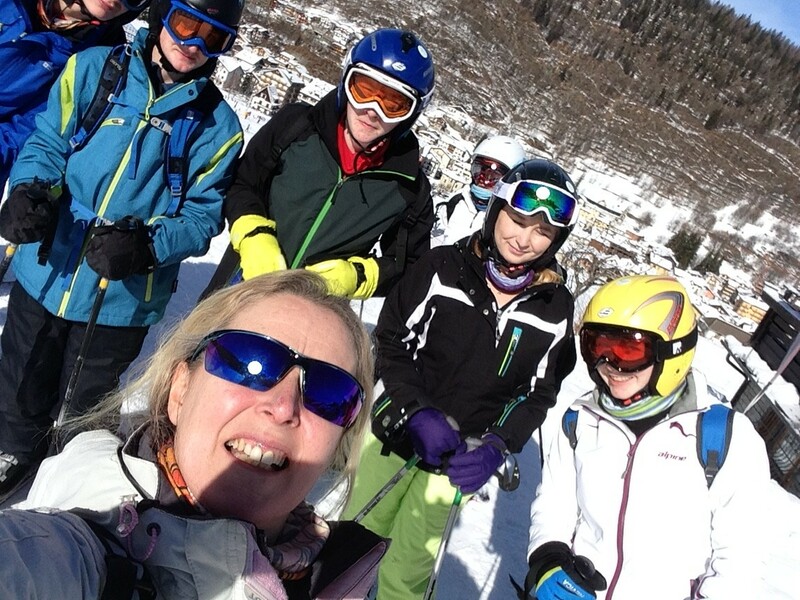 Tuesday 16th at 09:30 – Third day and all progressing nicely and most are up the mountain enjoying the fabulous views. Snowed a lot last night so lovely powder. Ice skating was a success last night and bum boarding tonight. Everyone sleeping well and enjoying the food. Sunday 14th at 22:37 – Fabulous first day! All settled into ski groups and worked hard in their 3 hour am lesson!!! 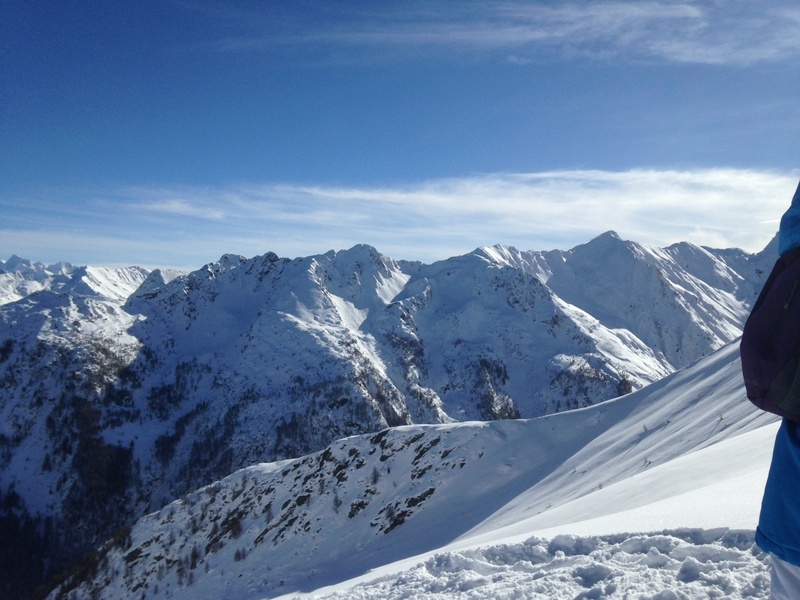 Snow conditions perfect, slopes quiet and Aprica looking chocolate box perfect in the snow. Long hot lunch in hotel followed by 2 more hrs skiing, a trip to the shops, tea and a big quiz and all now exhausted and collapsed in bed. Snow absolutely bucketeting it down. 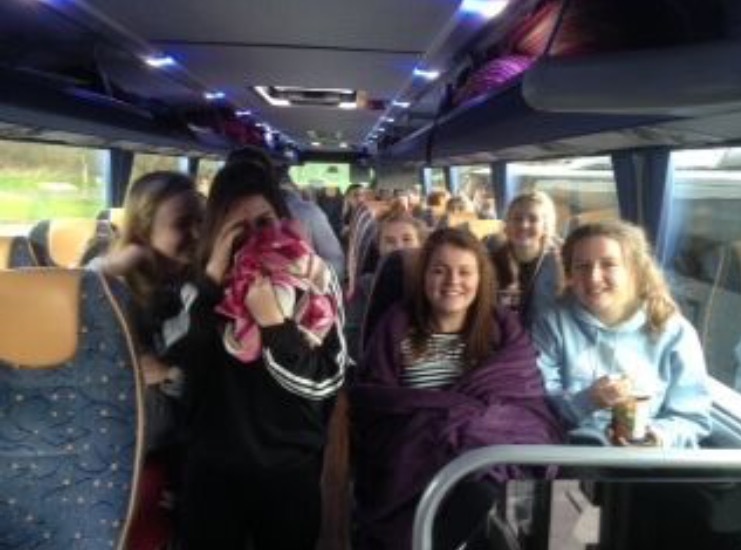 Sunday 14th at 12:25 – Arrived safely at 4pm Saturday after a great journey. Managed ski fit and unpacking before a hearty evening meal. Gorgeous resort – hotel overlooking slopes and snow looking great. All excited about tomorrow 🙂 And Happy Birthday to Katrina!